The whole of the UK is being urged to get behind a campaign to help the NHS reach number one in the charts this Christmas while supporting healthcare charities at the same time. “A Bridge Over You” performed by Lewisham and Greenwich NHS Trust’s choir celebrates the work of NHS staff across the country. The choir is made up entirely of NHS staff including nurses, doctors, physios, midwives, porters and administrators. The choir’s single has gained widespread support and is being backed by senior NHS leaders including NHS England’s Medical Director Bruce Keogh and Chief Nurse Jane Cummings. Fresh from a performance today outside the Queen Elizabeth II Conference Centre in London Caroline Harbord, Senior Physiotherapist in Pulmonary Rehabilitation said: “It’s incredibly exciting to be so close to achieving Christmas number one, none of us can believe it – it’s surreal. 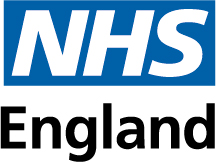 I’m so proud to work for the NHS, and the NHS has always been there for me and my family when we have needed it. When I was 40, I was diagnosed with advanced Non-Hodgkin lymphoma, a form of cancer. I was treated at University Hospital Lewisham and the treatment really could not have been better. “Good treatment isn’t just about getting the drugs you need. As a patient, you have to trust the people caring for you. When I was treated for Non-Hodgkin lymphoma, I knew I could trust all the staff 100 per cent: their compassion and empathy was truly exceptional, and made a huge difference to me. All proceeds from the song will be shared between healthcare charities, including Carers UK and Mind – You can download the song with a percentage also being distributed to Samh (Scotland) and Niamh (Northern Ireland). The single is available to download on iTunes, Amazon and Google Play; search for ‘A Bridge Over You’ by the NHS Choir, or view instructions on how to download it (and please note that the song is only available by download; it cannot be purchased in the shops). I am quite fascinated by the work you do as the NHS Choir and I would like to join this choir. Do send me the required information about joining please. I also wish to make a donation to the NHS Choir please. I am doing a course in Medicine at the moment and also working in the Health Care Profession. Is there any way of signing up for the choir without having to join Facebook? Many thanks and a musical New Year to you ? Will be downloading this now, brought tears to my eyes. Thank you to the NHS for all you do, much appreciated. Shame this post is too late for it actually make christmas #1 (21/12) as the christmas chart was announced 20/12!